Murano Grande boasts some of the largest condo units found anywhere, while delivering a modern, elegant, comfortable lifestyle. You’ll love the spacious balconies, high-standard amenities, and exceptional residential features. Some of these features include 9-foot-high ceilings, sunrise/sunset terraces, flow-through floor plans, spacious walk-in closets, and more. You’ll find Gran Paraiso in North Edgewater close to the Miami Beach Bridge and Midtown shopping area. You’ll be close to it all, with plenty of conveniences within walking distance, including a beach club just for residents. 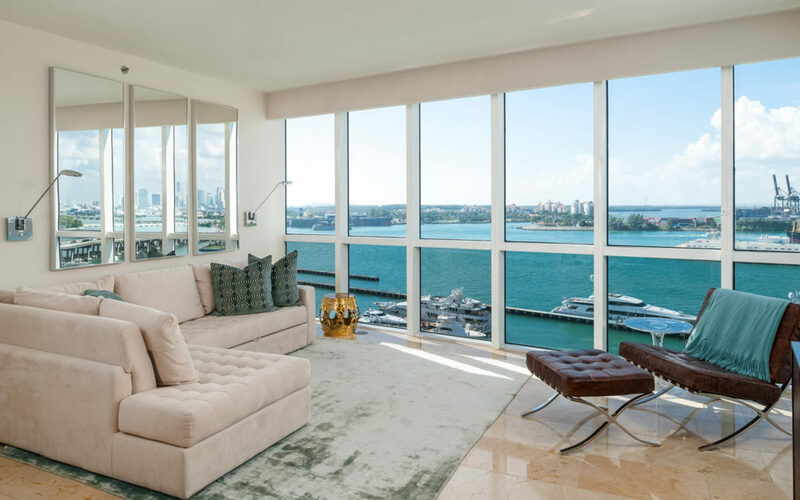 The glass-rail terraces and floor-to-ceiling window walls will allow you to enjoy the most spectacular views during the day and night, and inside the apartments you’ll find unparalleled elegance from some of the most well-known design and furniture companies in the world. What’s more luxurious than luxury? Blue and Green Diamond. 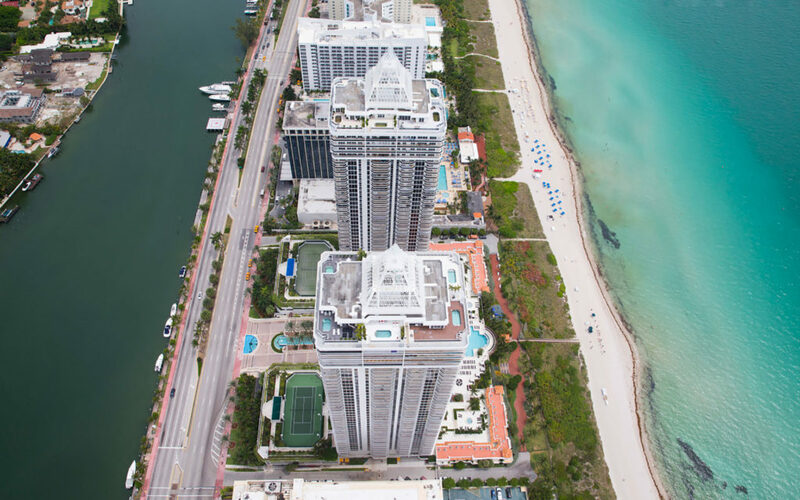 This property can be found in Miami Beach, and is now the tallest building in the area. Each tower features 315 units, with just 8 units per floor. 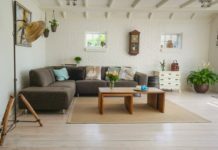 If you love perfectly finished interiors and the highest standard amenities, you can’t go wrong with these condos. Relax in the two pools and be pampered by staff, invite some friends for a game of tennis, grab a quick workout in the fitness center, or relax in the spa. 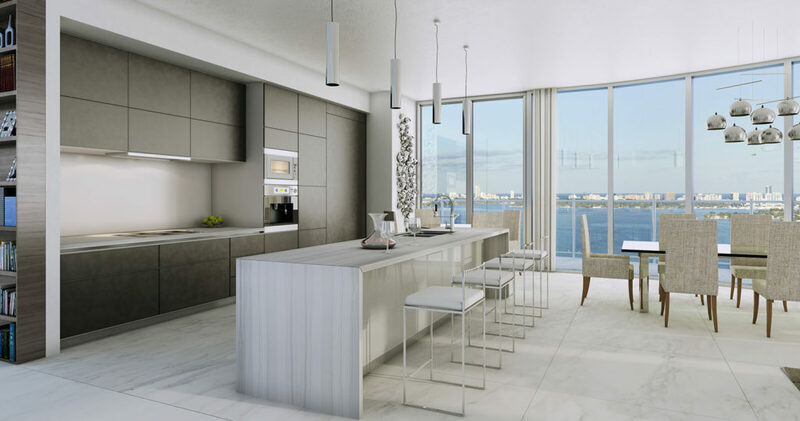 Aria on the Bay has one of the most prestigious addresses around, located right in front of the bay. 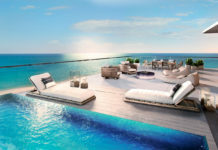 You’ll enjoy incredible high-end finishes, flow-through layouts and the most amazing views right from your own couch. The sophisticated design can be seen right from the entrance of the property, while its awe-inspiring landscape will impress you with its water features. 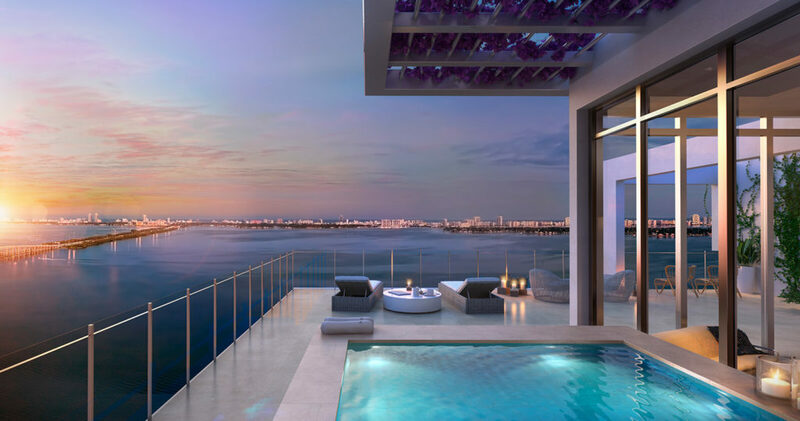 Every detail has been meticulously designed, and the incredible sunrise/sunset pools will be your favorite place as you overlook Biscayne Bay and the city. Eighty Seven Park features just 70 homes, meaning you’ll enjoy plenty of space and privacy. 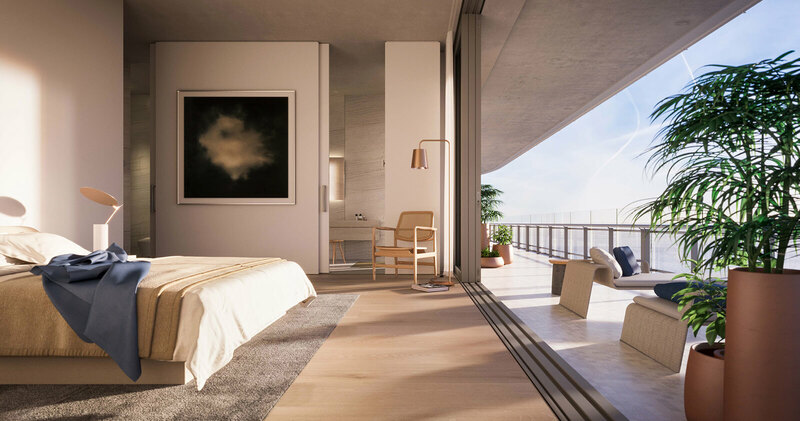 Residences are full of air and light, and spaces are both sophisticated and charming, created with materials like natural stone and oak grains. Interiors are by RDAI, and feature Italian cabinetry, natural oak panels, stone countertops, and integrated appliances.